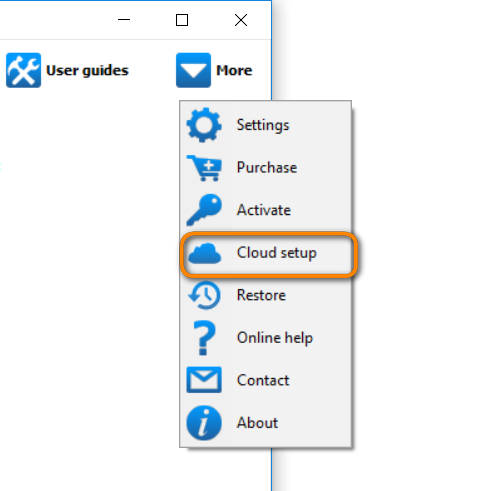 Why connect to my cloud account in CopyTrans Contacts? 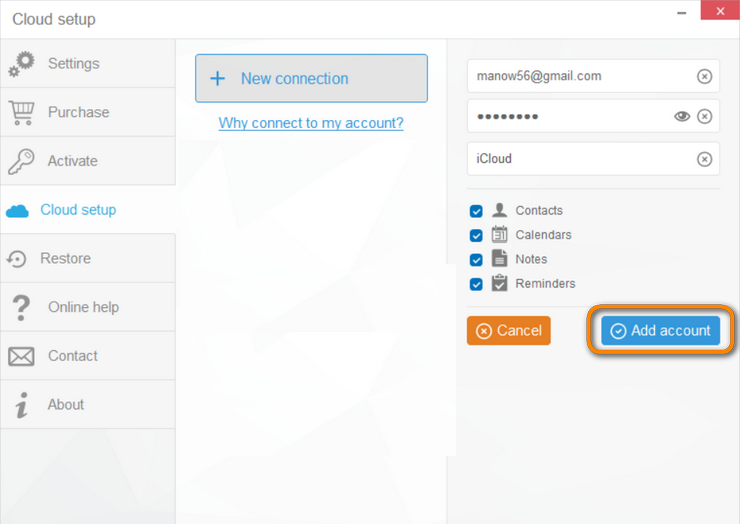 Home » Why connect to my cloud account in CopyTrans Contacts? 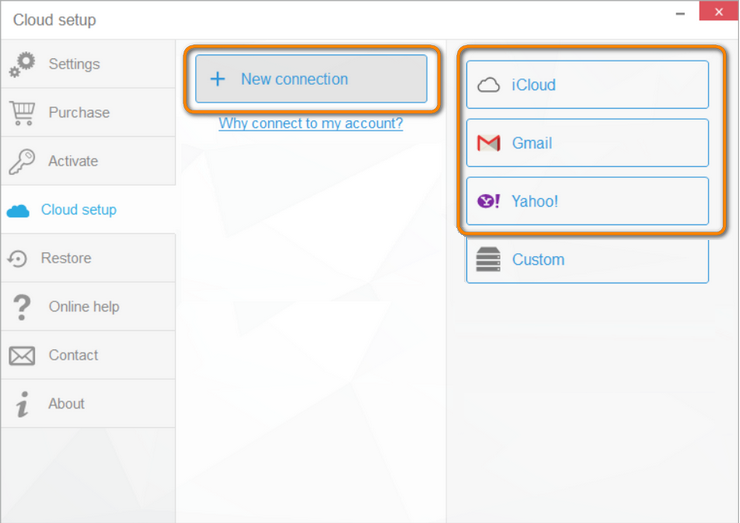 Granting CopyTrans Contacts access to your cloud accounts (iCloud, Gmail, and Yahoo) allows you to manage your contacts, notes, calendars and reminders sourced from these locations directly in CopyTrans Contacts. 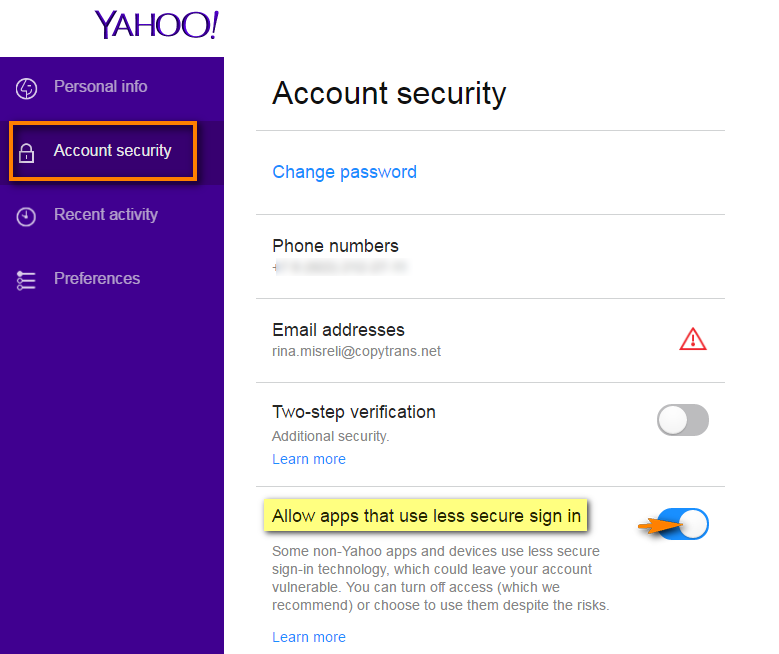 Regular cloud accounts: iCloud, Gmail, and Yahoo . 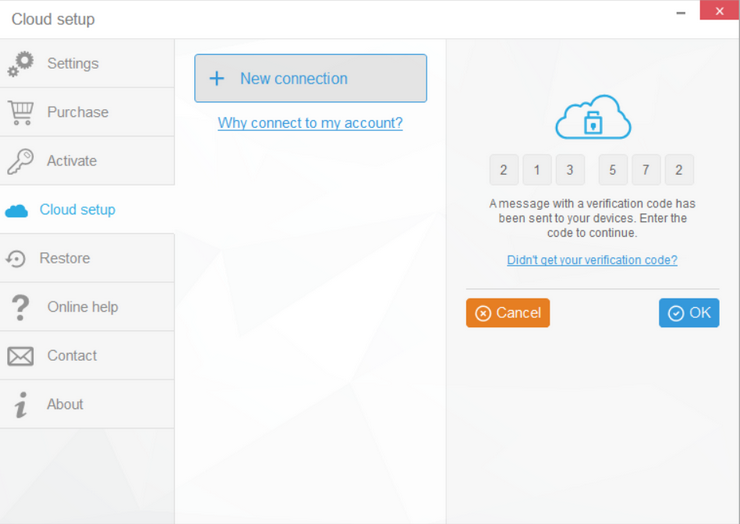 Click “New connection” and select the type of a cloud account. 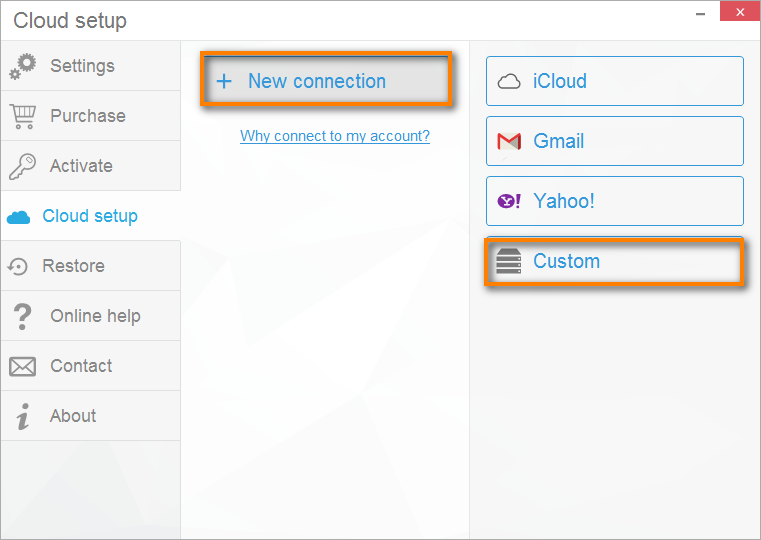 Regular cloud accounts supported in CopyTrans Contacts are iCloud, Gmail and Yahoo. 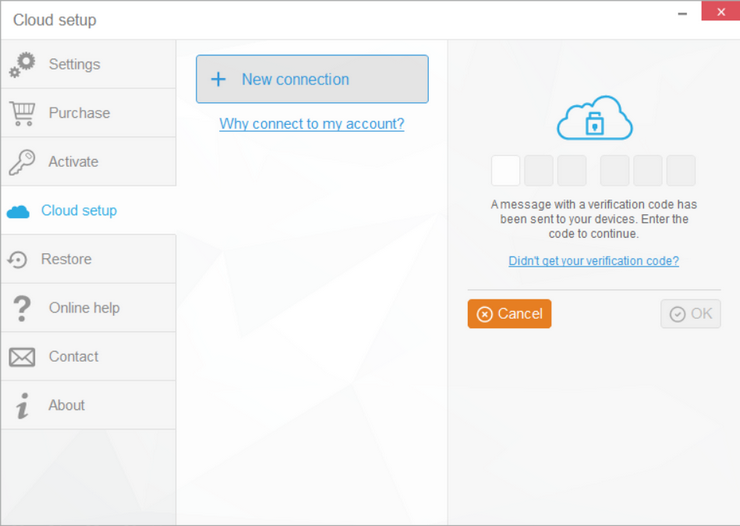 Enter the account credentials and tick the cloud data you wish to access (Contacts, Notes, Reminders, etc.). Click “Add account”. Go back to CopyTrans Contacts and enter your verification code. Now go back to CopyTrans Contacts and enter your credentials once again. Your Yahoo! account will be set up. 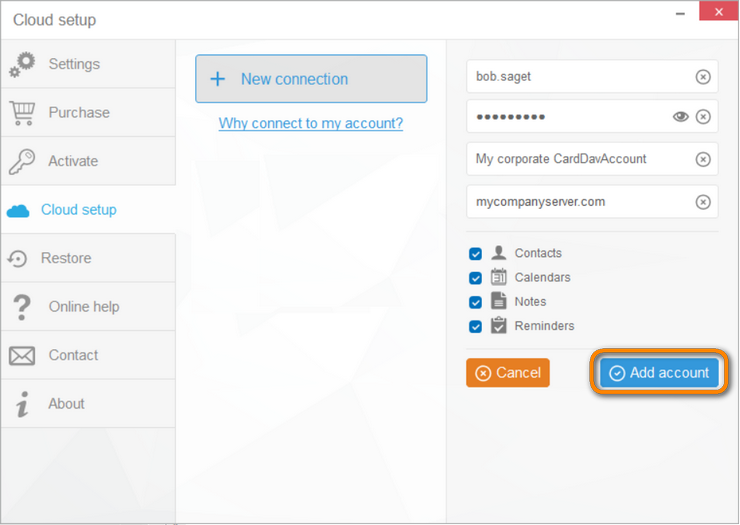 You can connect CopyTrans Contacts to custom cloud contacts, calendars, or reminders accounts in much the same way as described above. For this purpose you need to enter the custom account details (i.e. username, password, server address) already existing on your iPhone for the respective CardDAV or CalDAV account. 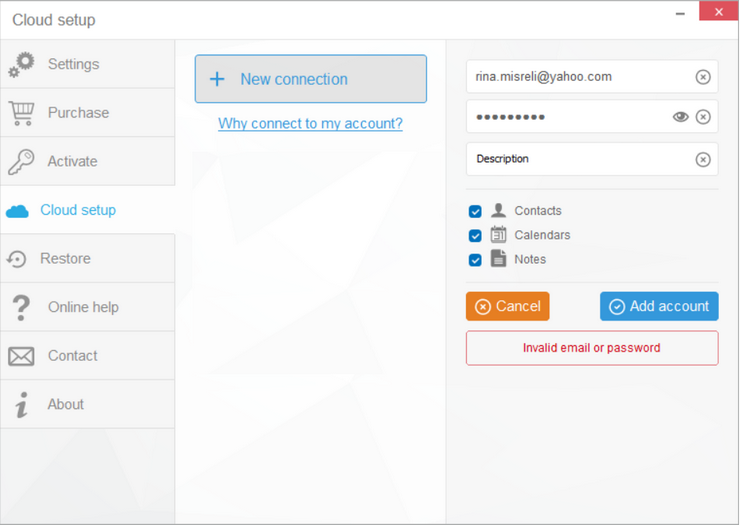 Custom cloud accounts can be linked to your company or university server, or your personalized cloud server (for example an account hosted on ownCloud or Synology NAS). Set up access to your custom account on your iOS device. For iOS 11 users: Open the Settings app > Accounts & Passwords > Add Account > Other > Add CalDav Account. For iOS 10 users: Open the Settings app > Contacts > Accounts > Add Account > Other > Add CardDAV account. For iOS 9, 8, 7 users: Open the Settings app > Mail, Contacts, Calendar > Add Account > Other > Add CardDAV account. 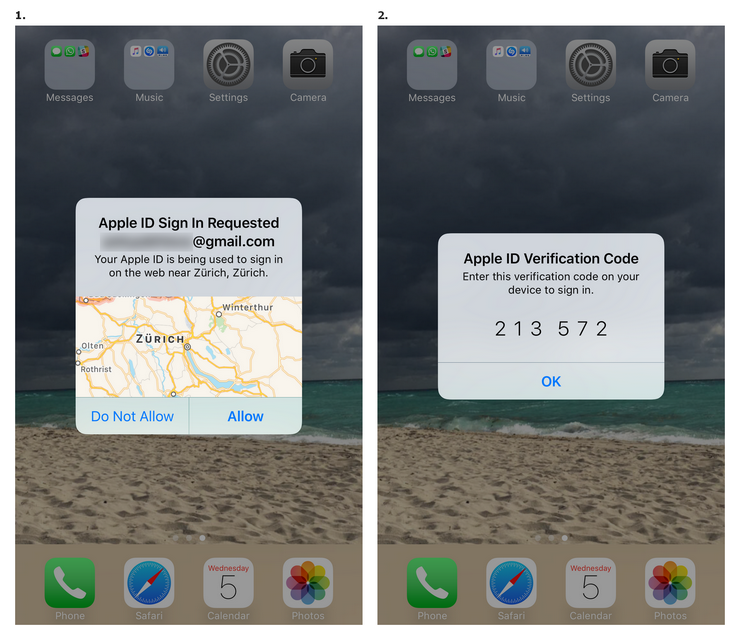 NOTE: The username, password and server address should correspond to the ones already set up on your iPhone.